New Delhi(PTI) The Income Tax Department has introduced a one-page form for taxpayers to manually apply for linking their Aadhaar with Permanent Account Number (PAN), apart from the available online and SMS facilities. An individual will have to mention both PAN and Aadhaar numbers, the spelling of the names mentioned on them and give a signed declaration that the Aadhaar number provided in the application form has “not been provided” by them for the purpose of linking it with “any other PAN”. They will also have to undertake a declaration stating they have “not been allotted any other PAN than the one mentioned” on the form. “I understand that complete security and confidentiality shall be ensured for my personal identity data provided for the purpose of Aadhaar-based authentication,” the taxpayer will state as part of the declaration. “The form is just another procedure, via the paper medium, to link the Aadhaar with the PAN database, as required from July 1. The SMS and online modes are also available,” a tax department official said. The department has also formally notified, under a CBDT notification of June 29, the procedure and format for “intimating Aadhaar number to the I-T Department by PAN holder and quoting the same in PAN applications”. Taxpayers can link their Aadhaar-PAN using a mobile-based SMS service (formatted message to be sent to 567678 or 56161), by logging on to the website of PAN service providers like NSDL and UTIITSL, by personally visiting a PAN service centre or over the e-filing website of the tax department. The department has also specified to the PAN and e-filing service providers that they “shall ensure that the identity of information of Aadhaar holder, demographic as well as biometric, is only used for submission to the central identities data repository of the UIDAI for Aadhaar authentication purpose”. “Any deviation will be treated as non-compliance to security and confidentiality clause or similar clause of their respective agreements/contracts and may lead to applicable penalty as per their respective agreements/contracts,” the department notification said. The I-T department has made it clear that taxpayers without Aadhaar number or its enrolment ID will not be able to e-file their income tax return (ITR) from today even as it has said that in “no case” any PAN will be invalidated. The Supreme Court had last month upheld the validity of an Income Tax Act provision (section 139AA) making Aadhaar mandatory for allotment of PAN cards and ITR filing, but had put a partial stay on its implementation till a Constitution bench addressed the issue of right to privacy. 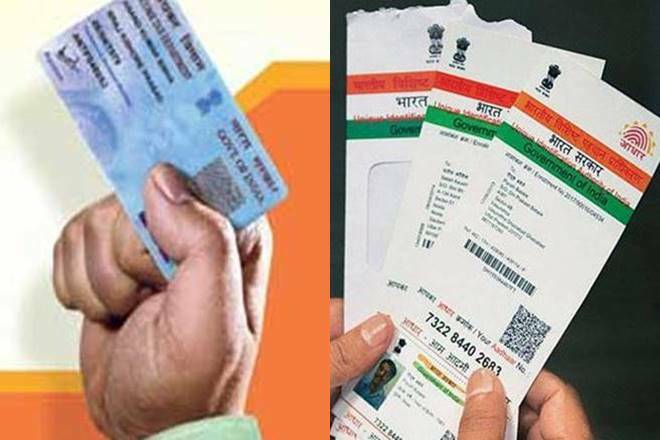 The Central Board of Direct Taxes (CBDT), the policy- making body for the I-T department, had said on June 10 that the apex court’s order had only given a “partial relief” to those who do not have an Aadhaar or an Aadhaar enrolment ID, and the taxman, hence, “will not cancel” the PAN of such individuals. Aadhaar has also been made mandatory for applying for PAN with effect from July 1. The department, as per latest data, has linked over 2.62 crore Aadhaar numbers with its PAN database. While Aadhaar is issued by the Unique Identification Authority of India (UIDAI) to a resident of India, PAN is a ten-digit alphanumeric number alloted by the I-T department to a person, firm or entity. There are over 25 crore PAN numbers allotted, while Aadhaar has been alloted to about 115 crore people.